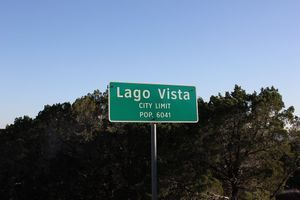 "Your Room with a View"
Just 30 miles northwest of Austin, Lago Vista is a lake side community with scenic views of the Texas Hill Country and the North Shore of Lake Travis. Lago Vista is known as “The Gateway to the Texas Hill Country” and is close to Cedar Park, Marble Falls and other Hill Country destinations. Looking for a beautiful place to have a destination wedding, great photo opportunities, or romantic honeymoon? Lake Travis and the Island is just the place. Area attractions include luxury accommodations, the Balcones Canyonlands National Wildlife Refuge, local wineries, area boat rentals, scenic golf courses and delicious restaurant on property. Additionally, Lago Vista is just a short drive to the area Capital Metrorail Red Line station. The Red Line is a convenient way to get to downtown Austin and enjoy live music, restaurants, and events without the hassle of parking and traffic. The Red Line has extended travel hours on weekends to accommodate later activities. With a variety of offerings to choose from, we're sure you'll be happy to vacation with us. Enjoy the beautiful drive and breathtaking sunsets. Lake Travis Condo is a great place to stay and play. We hope to see you soon! Lake Travis Condo is never too far!